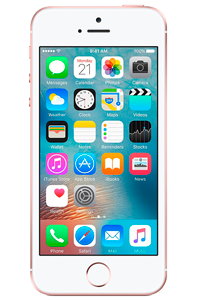 The iPhone SE is the new low-cost, pocket-sized smartphone from Apple. Although small on the outside, inside it packs a big punch. In fact the iPhone SE, or iPhone Special Edition, is to all intents and purposes a mini iPhone 6S in the form of a iPhone 5S. Like all iPhone models, you can IMEI or MEID unlock your iPhone SE quickly and for the lowest price on the internet with doctorSIM, without voiding the warranty or damaging the iPhone's software in any way. The iPhone SE exterior has clearly been designed with the iPhone 5S in mind, but comes with the iPhone 6S and iPhone 6S Plus powerful A9 processor and 12MP camera inside. Of vital importance to the always on the go heavy users among you, the iPhone SE has a long-running battery meaning you can leave the charger at home during the day. The iPhone SE with its 4-inch display is the ideal smartphone for Apple enthusiasts looking to downsize after a period of perpetual growth. Available in silver, grey, gold or rose gold, the consumer giant mini iPhone can be yours for half the price of the larger models. 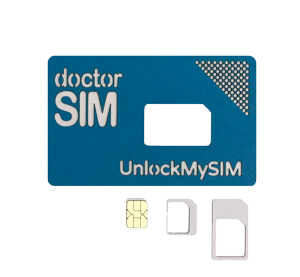 All you need to do now to get the full enjoyment out of your iPhone SE, is to unlock it with doctorSIM so you can use it on any network in the world. Our unlocking services are 100% online, which means your iPhone SE never has to leave your side. If you have bought an iPhone second-hand there is a possibility that it is iCloud locked. You will not be able to use the phone, unless you know the ID or password, if this is the case. Verify that the iPhone is not iCloud locked before submitting your unlocking request. Unlocking iPhone SE with doctorSIM is rated 4.8 out of 5 based on 21 reviews .